We have reduced prices for nearly all of our entire line of infant’s, toddler’s and children’s costumes. 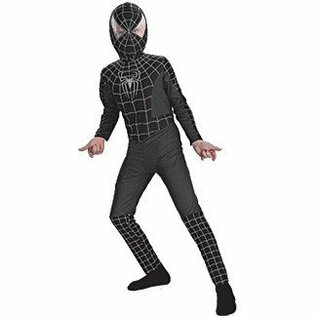 These reductions will save you a bundle on costumes for your children! Prices have been slashed anywhere from 30-70% or even more off of our original low price. Any products with this message are exempt from any other sales or discounts. Thank You. This is the official quality Black-Suited Spider-Man child's costume from the hit movie- Spider-Man 3.